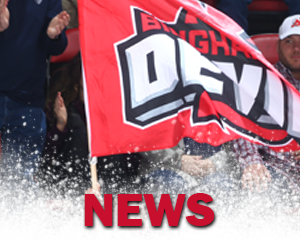 BINGHAMTON, NY – The Binghamton Devils gave up four goals in the third period as the Rochester Americans came away with a 5-3 road victory in front of 4,127 fans at Floyd L. Maines Veterans Memorial Arena on Saturday night. Steven Santini got the scoring going with his third goal of the year on a give-and-go with Michael Latta inside the right wing circle. Santini took the return pass after intercepting the puck at the right point and beat goaltender Jonas Johansson for the 1-0 lead 9:30 into the game. Binghamton added to the lead at 13:37 of the first period as Blake Speers fired in his 12th of the year on the power play. Nathan Bastian did all the work down low and fed Speers for the eventual goal to give the Devils a 2-0 lead. Assists on Speers’ goal were credited to Bastian and Jagger Dirk. 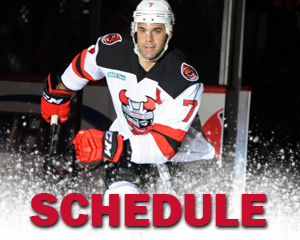 Rochester answered back to pull within one goal as Eric Cornel punched in his eighth of the season on a rebound to decrease the Devils’ lead to 2-1. Helpers on Cornel’s goal were given to Garrett Ross on the shot and Adam Krause. 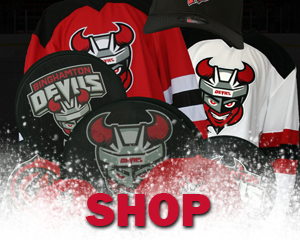 Binghamton took the one-goal lead into the intermission while being outshot, 11-10. The Devils took advantage of another power play in the second period to get the two-goal lead back. Speers fed Jacob MacDonald who teed up a one timer that flew by the glove of goaltender Jonas Johansson for the 3-1 lead. The goal was MacDonald’s 19th of the year with assists from Speers and Brett Seney. Rochester caught fire in the final period and scored four goals for a two-goal victory. Cornel put in his second of the night and ninth of the year just 3:55 into the the third frame to pull the Americans back within a goal of the Devils, 3-2. 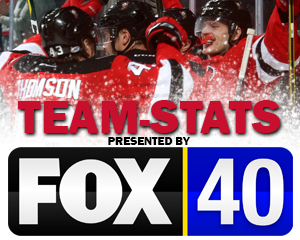 While the Devils were on a power play, Colin Blackwell took a pass from Hudson Fasching after a turnover and beat Eddie Lack over the right shoulder and under the cross bar to tie the game at four with 12:31 left in regulation. The lone assist on Blackwell’s shorthanded tally was credited to Fasching on the pass. Rochester scored the eventual game-winning goal with just 2:33 left in the game as Sean Malone backhanded in his 10th of the year by the left leg pad of Lack to give the Americans a 4-3 advantage. The lone assist was given to Nathan Paetsch who blocked a shot and fed Malone with the long pass for the breakaway goal. Fasching added an empty-net goal in the end for a 5-3 win. Lack stopped 22 shots in the loss while Johansson put away 23 shots for the win. 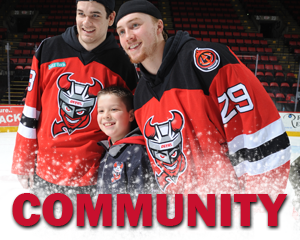 The Binghamton Devils are back home Friday night for Autism Awareness Night against the Syracuse Crunch with only two home games remaining! 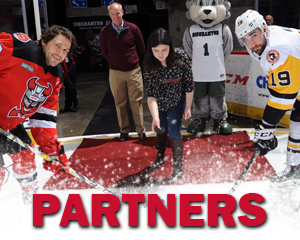 Fidelis Care and the Devils have teamed up to offer Free Kid Friday. 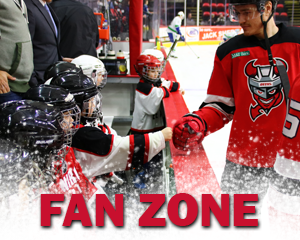 All children 12 years old or younger get a FREE ticket to the game. 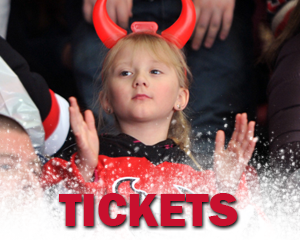 The tickets can only be redeemed at the Devils front office. 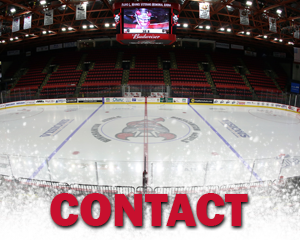 For more information, call the Devils’ front office at 607-722-7367 for more information.